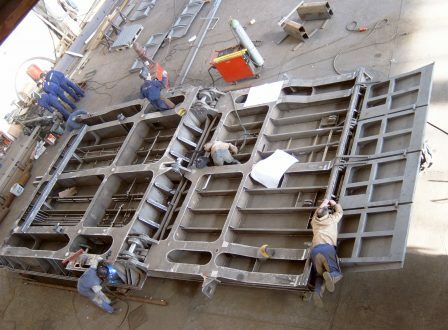 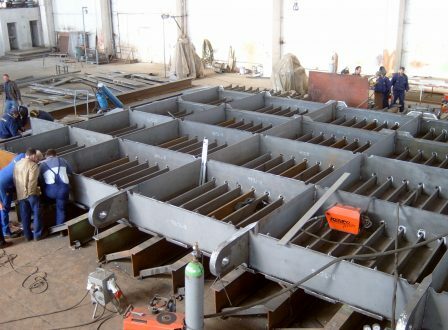 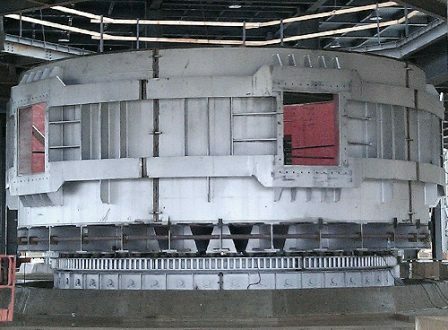 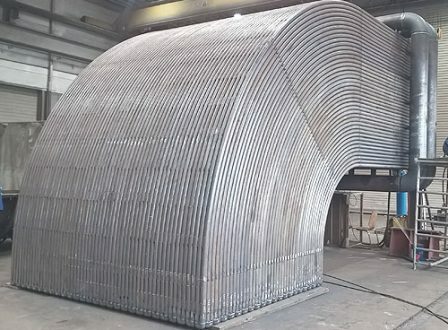 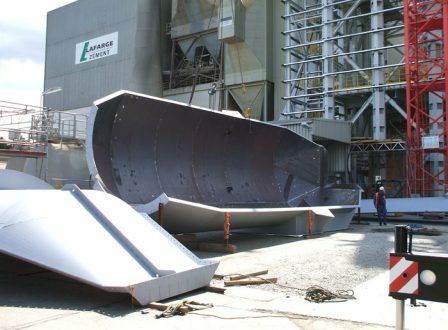 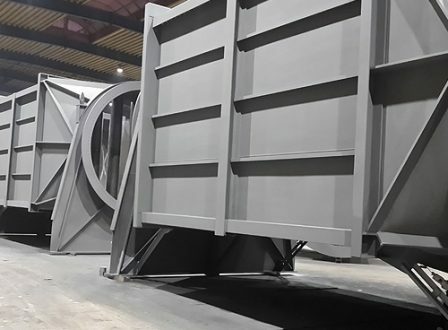 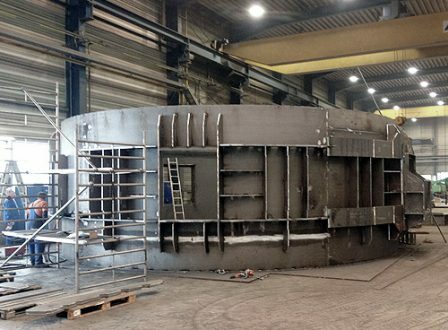 The demanding three-dimensional curved contour of ship doors can be achieved by means of pressing or using previously manufactured former plates. 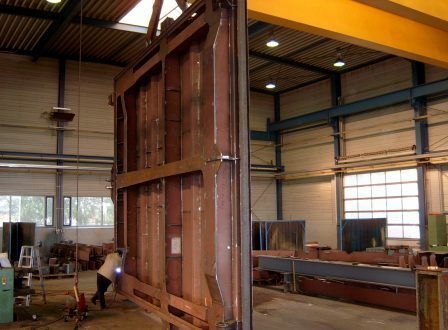 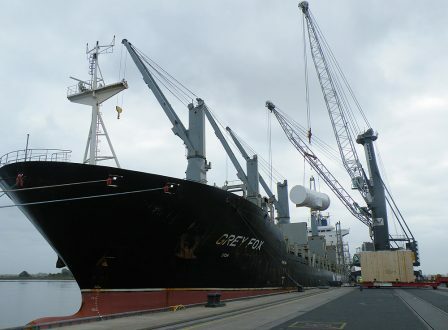 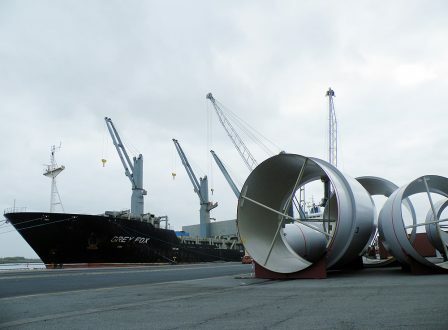 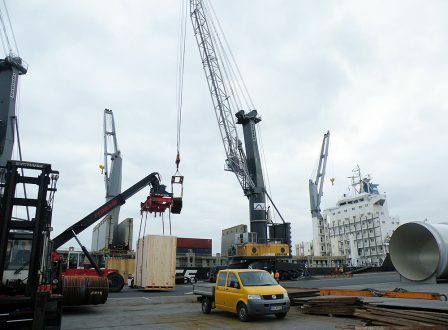 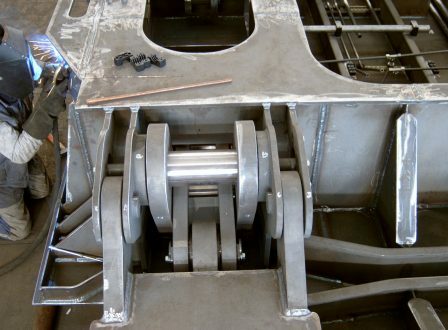 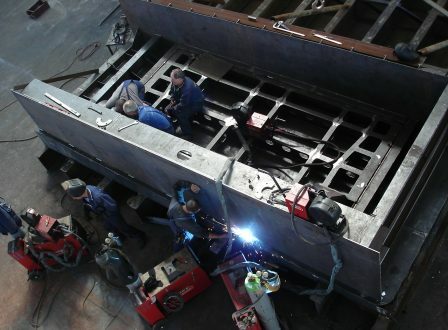 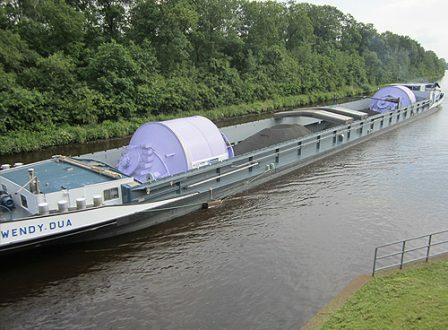 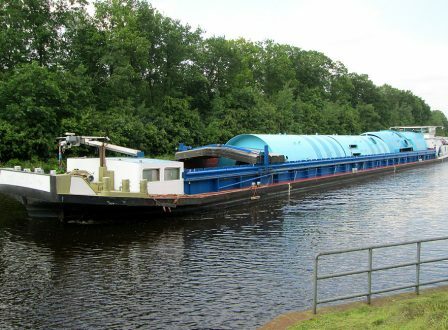 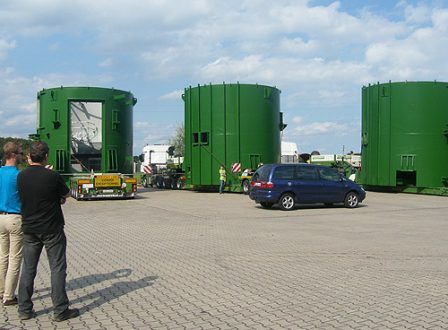 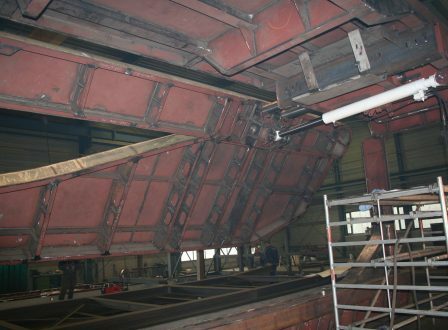 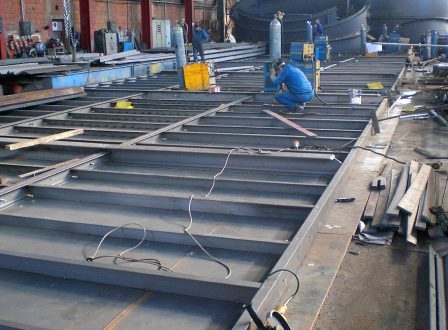 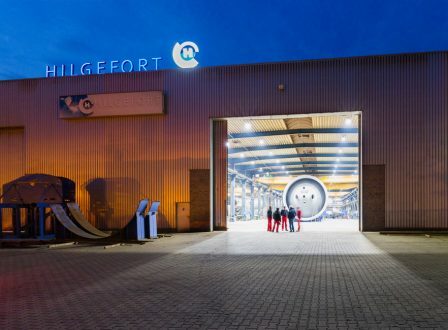 Hilgefort GmbH manufactured multiple ship doors and hydraulic systems. 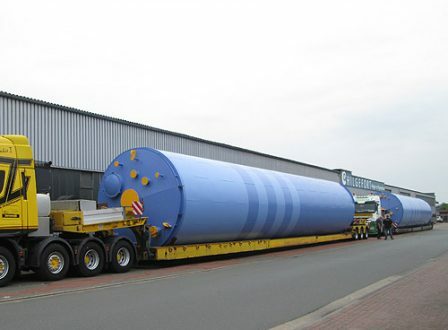 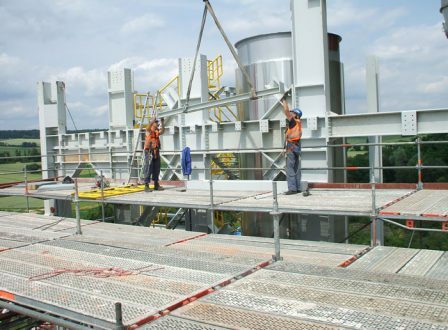 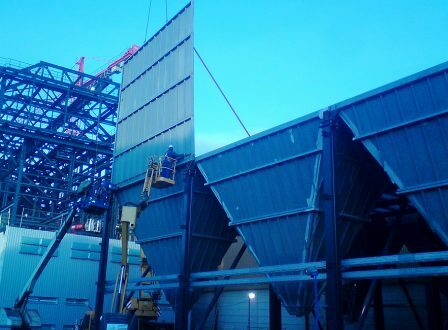 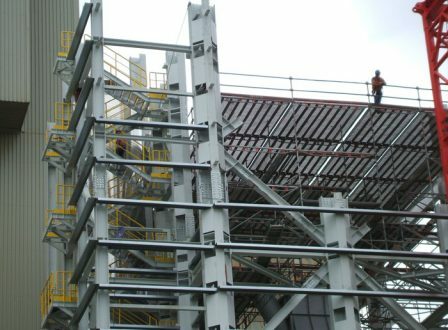 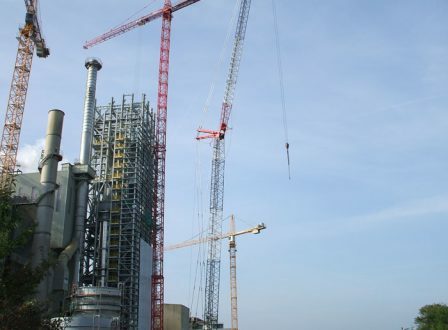 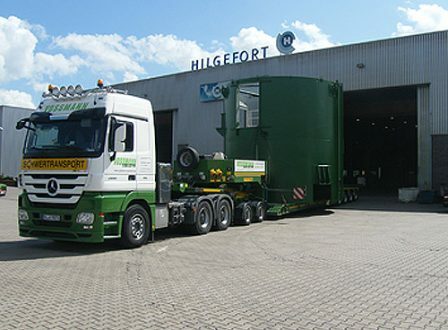 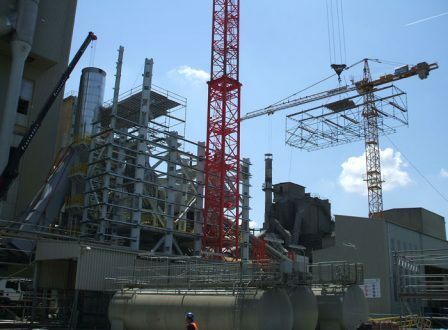 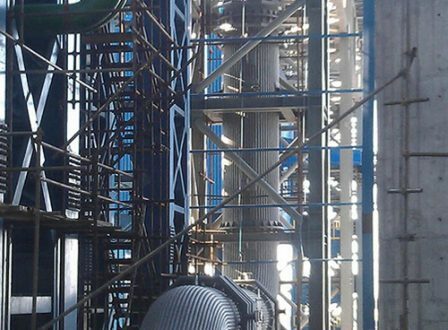 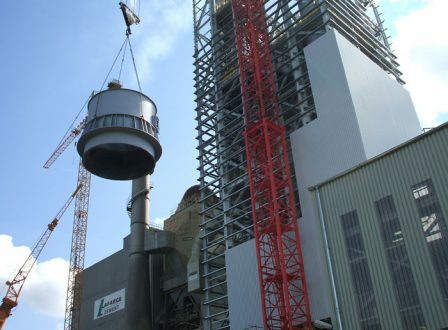 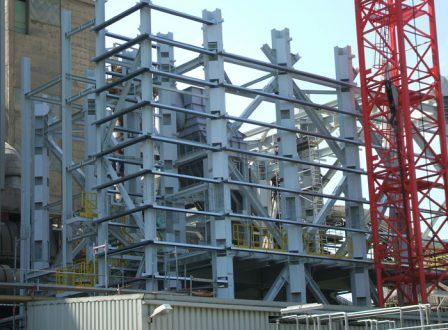 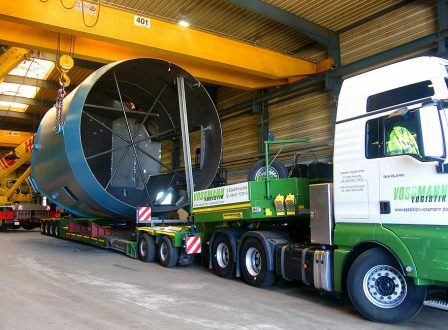 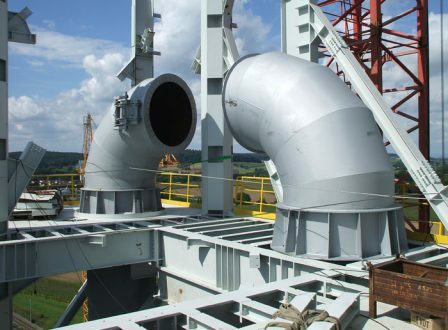 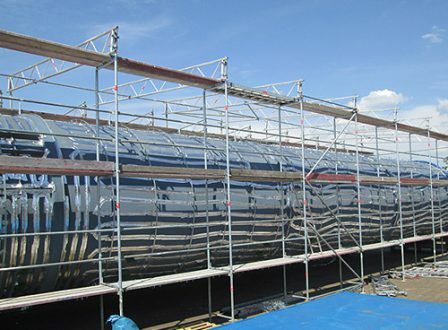 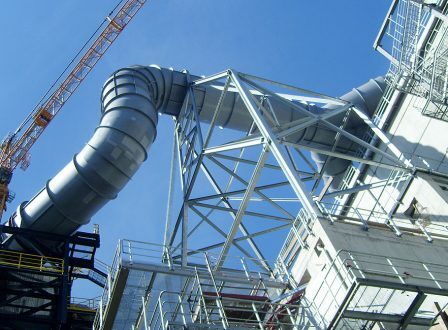 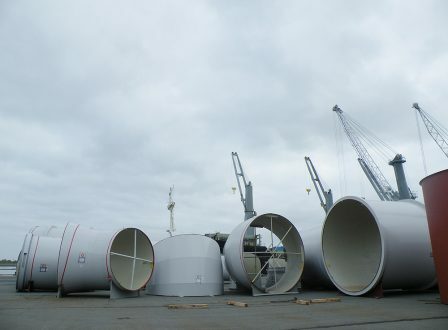 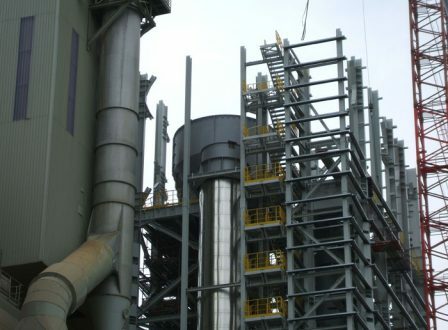 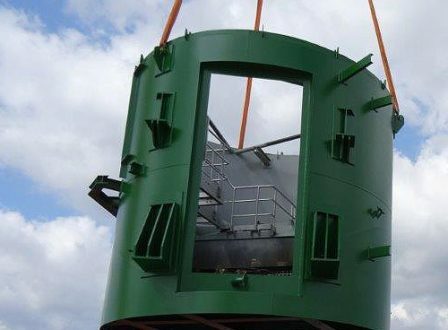 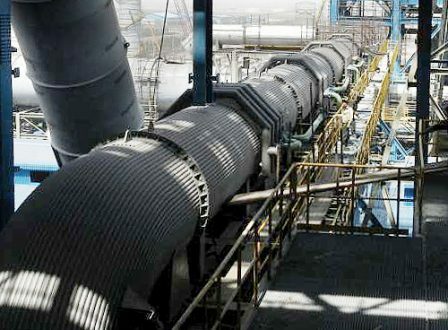 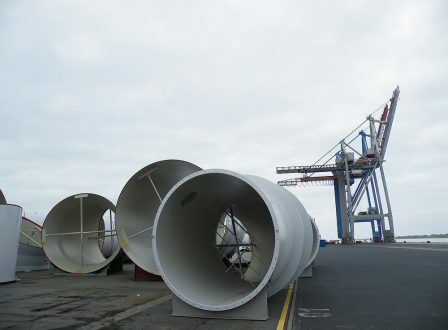 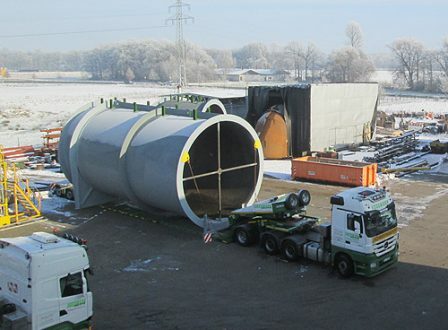 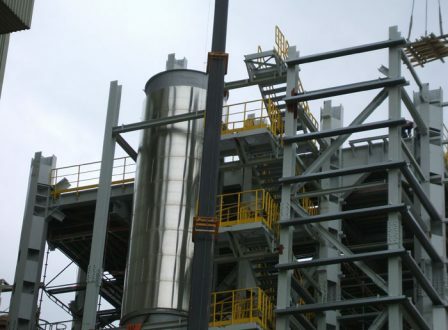 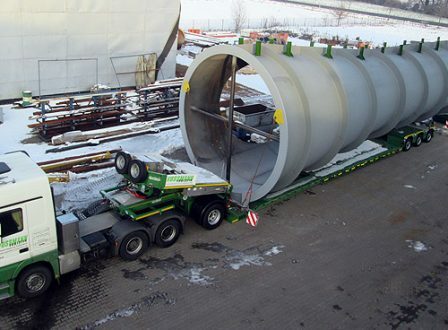 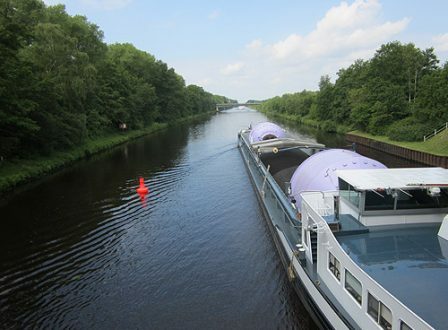 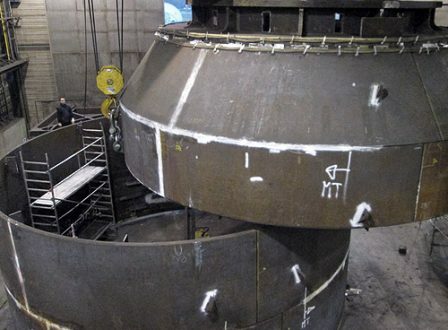 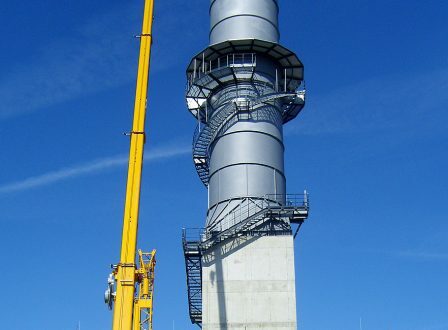 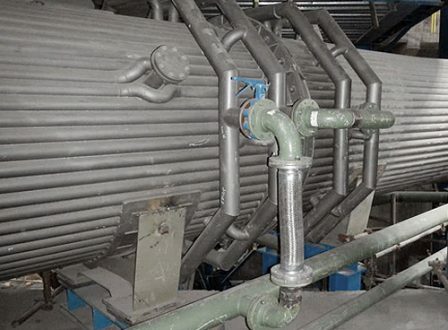 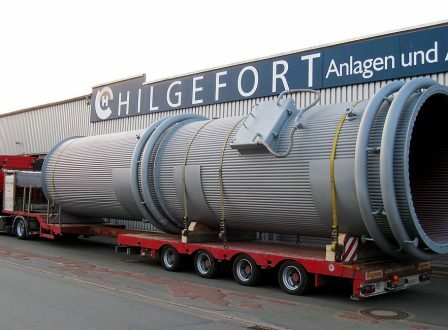 This demanding system comprised a water-cooled flue gas pipe, downstream combustion chamber and the associated water supply, all of which were supplied by Hilgefort. 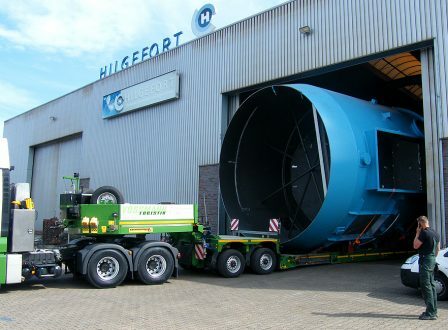 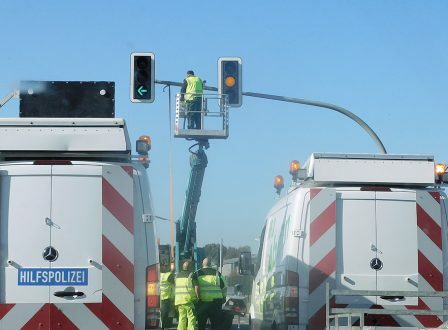 Even the detailed engineering was developed by Hilgefort GmbH. 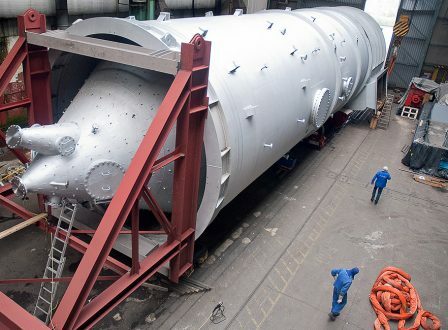 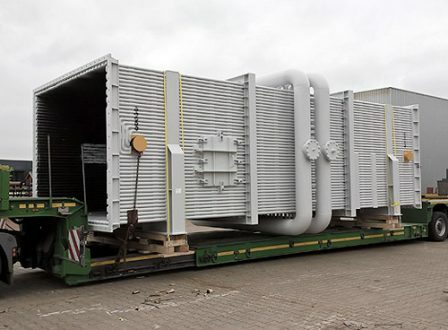 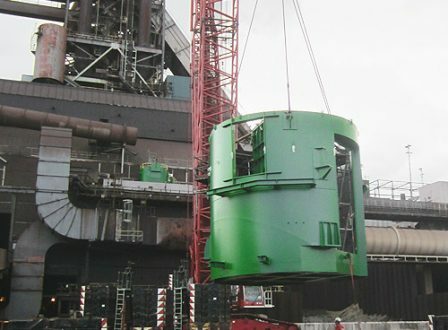 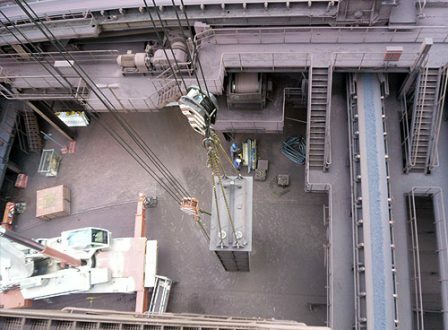 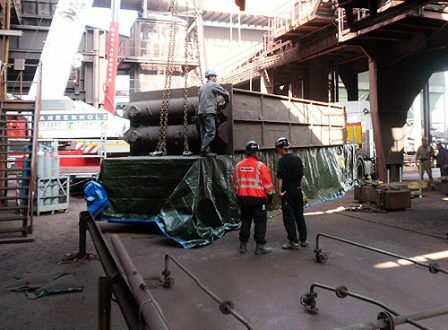 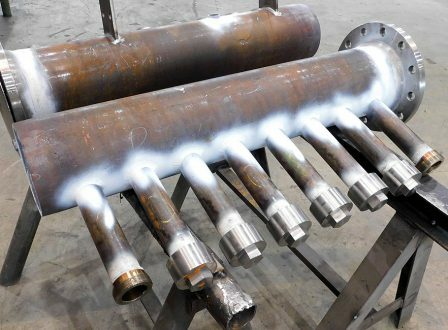 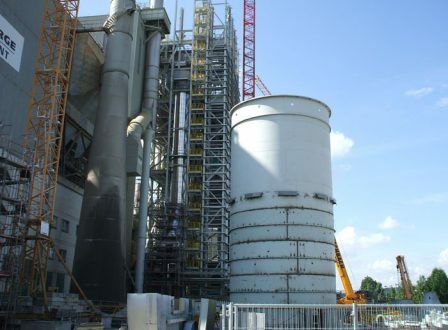 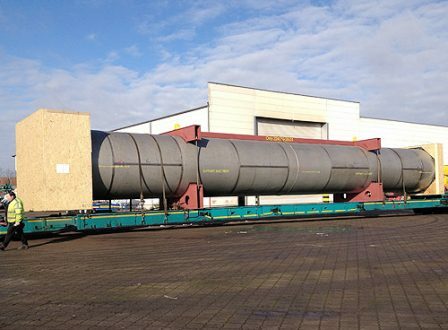 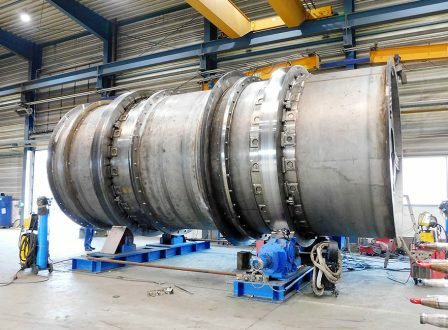 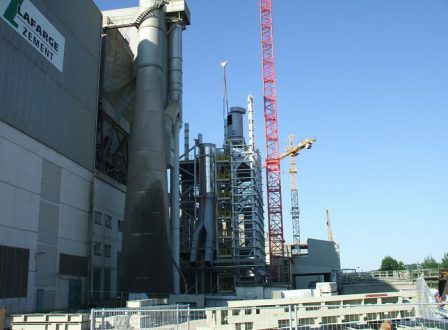 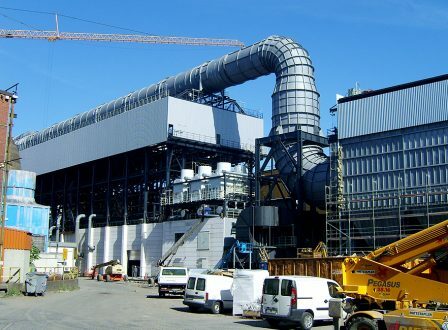 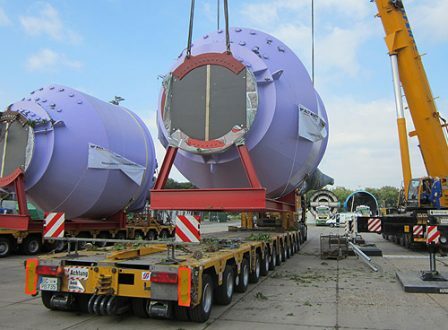 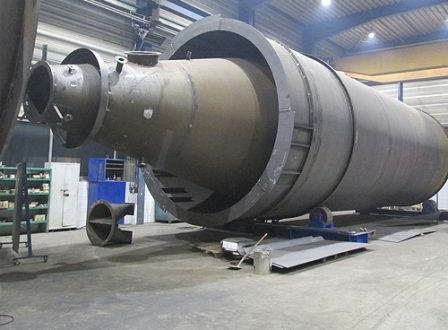 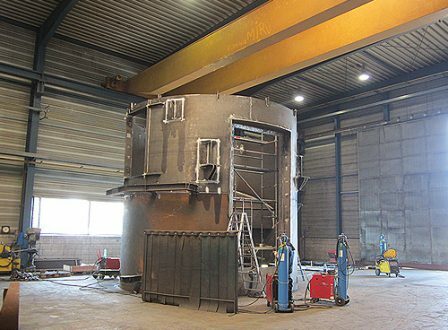 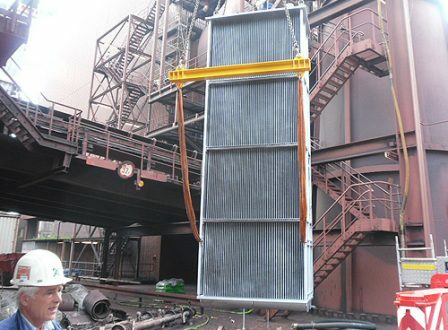 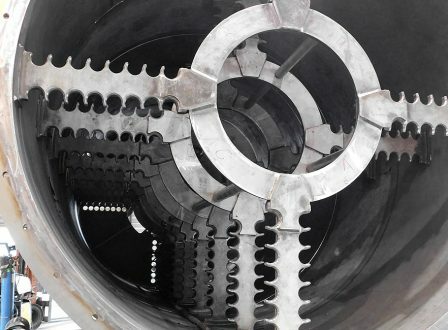 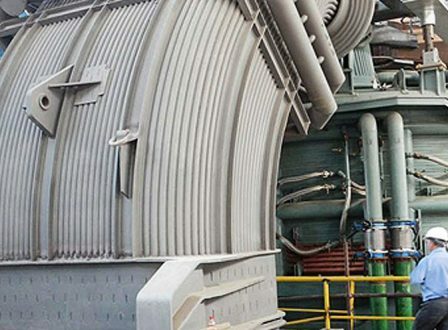 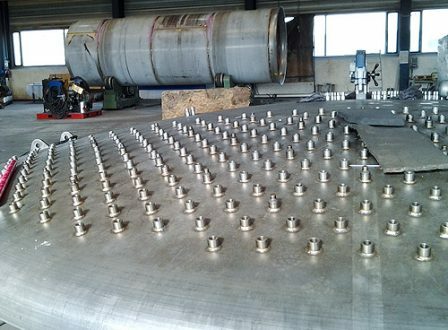 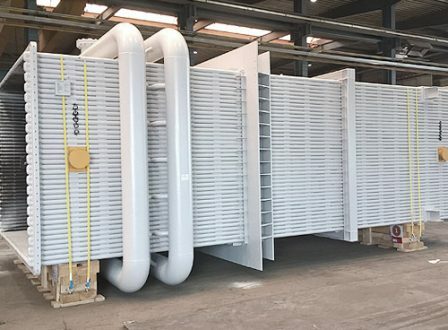 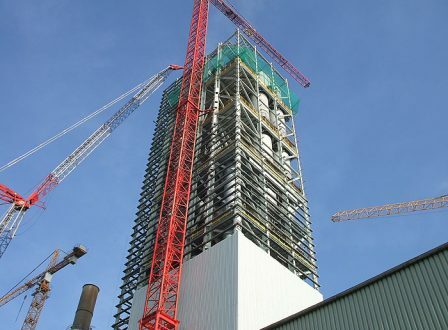 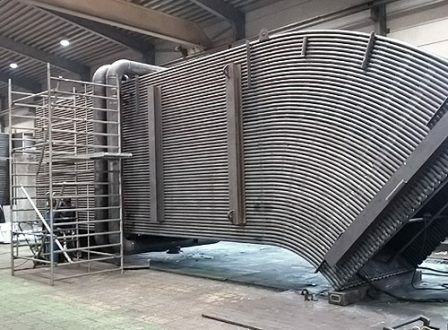 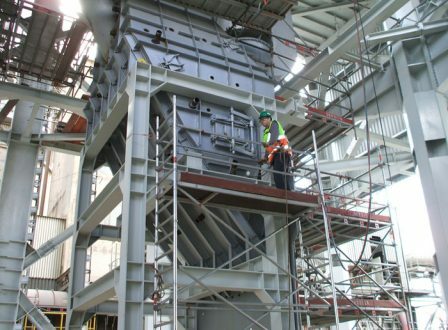 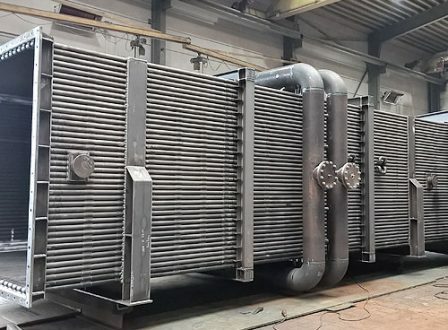 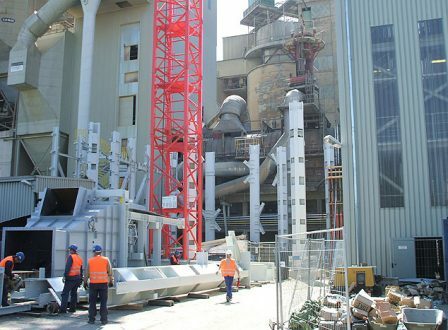 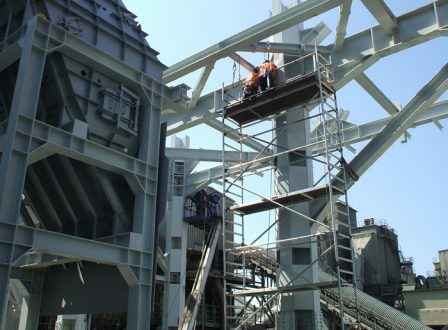 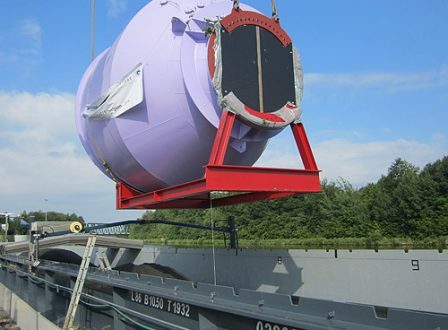 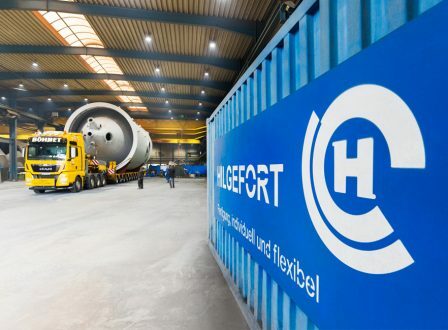 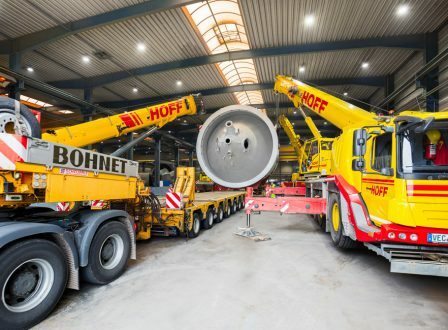 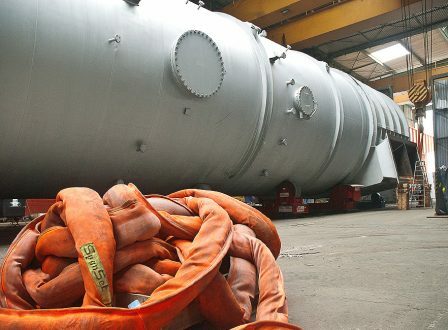 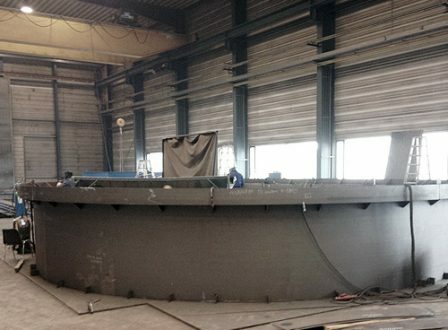 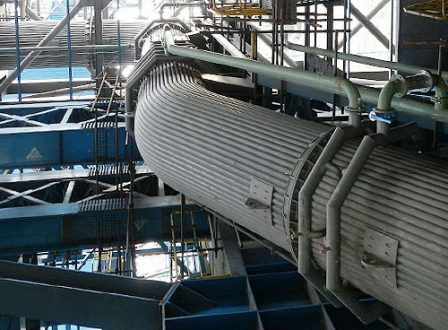 Hilgefort took on the production and detailed engineering, TÜV acceptance, transport and on-site assembly of a heat exchanger waste-heat recovery system in the sinter cooler for a steel works in Duisburg. 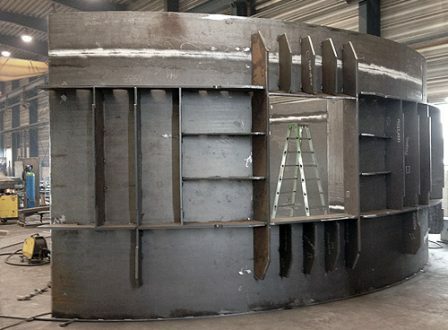 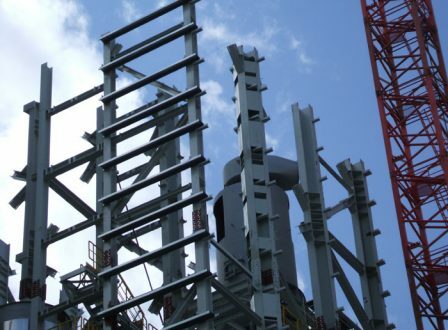 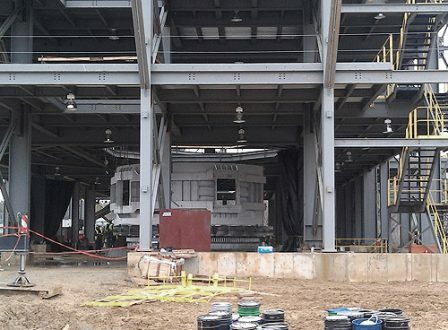 The complex design of the special steel plant was first created in segments and then rolled into shape. 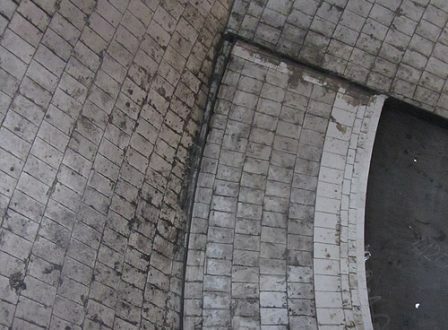 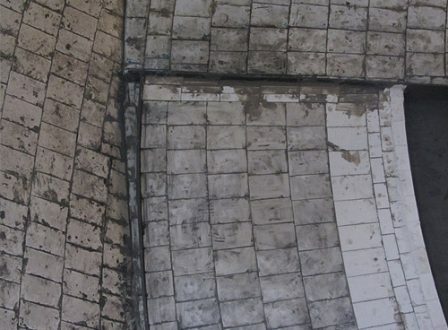 The reactor was lined with brickwork for thermal insulation and additional partial insulation was fitted to the exterior with pins. 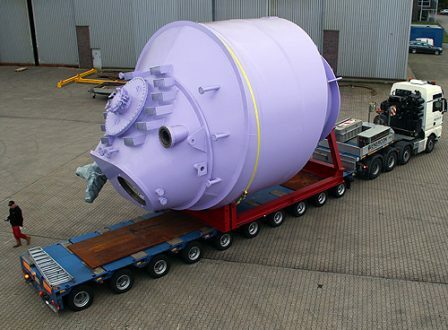 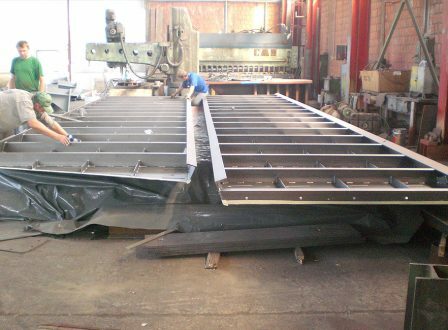 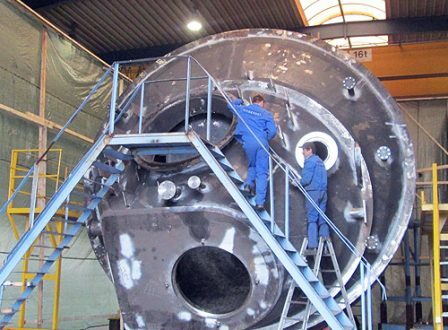 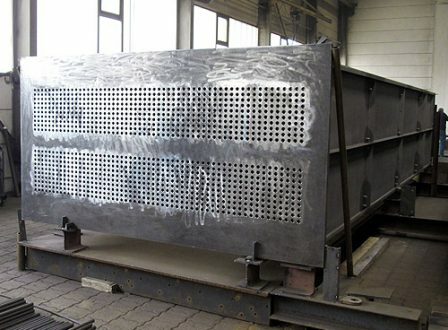 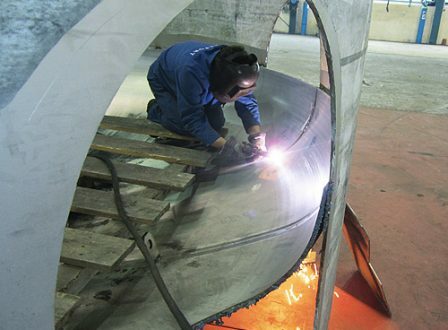 Production of a special steel drum dryer. 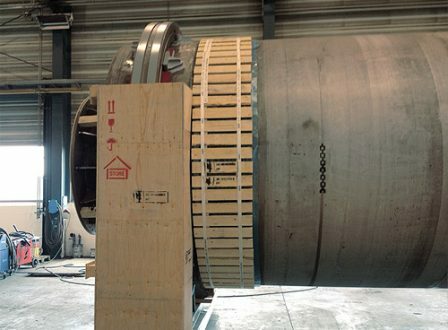 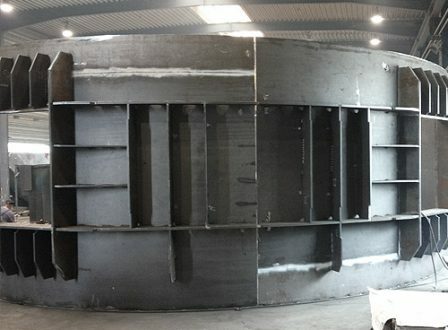 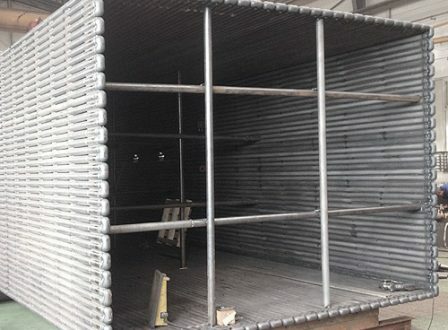 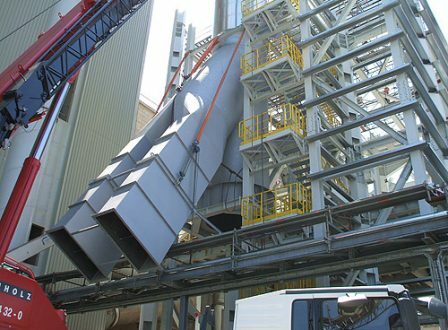 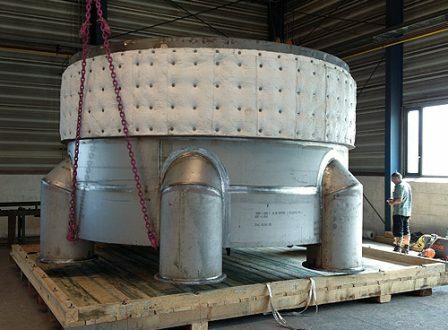 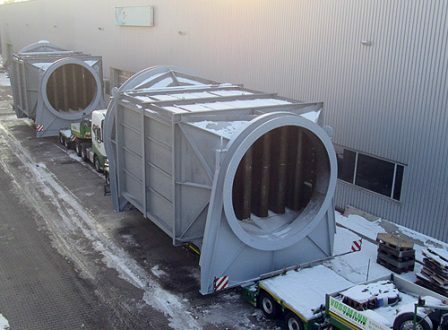 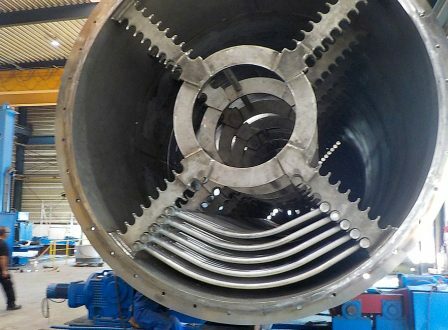 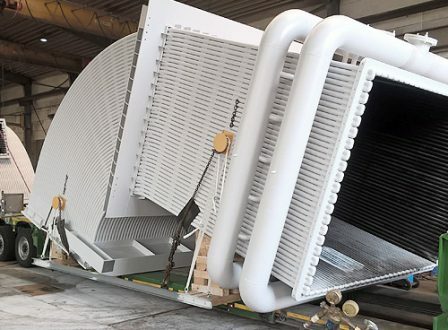 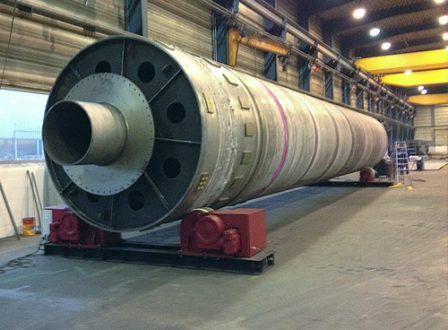 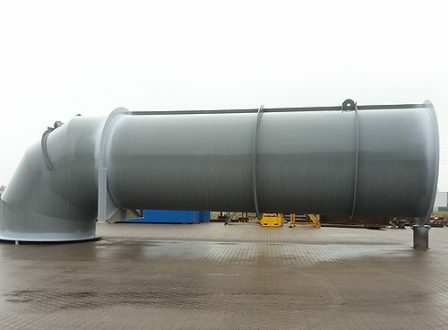 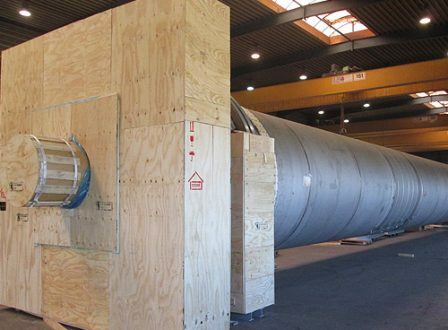 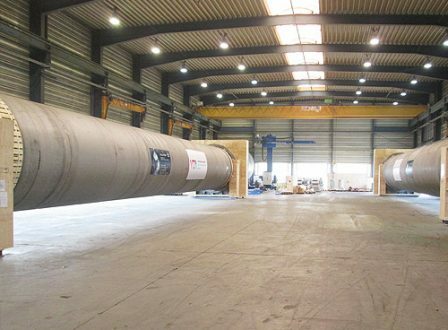 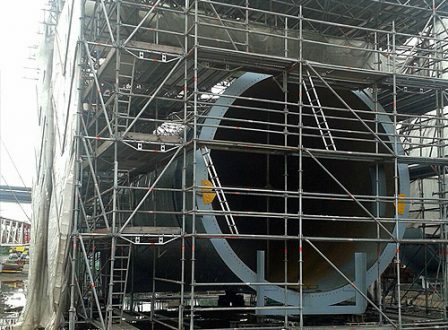 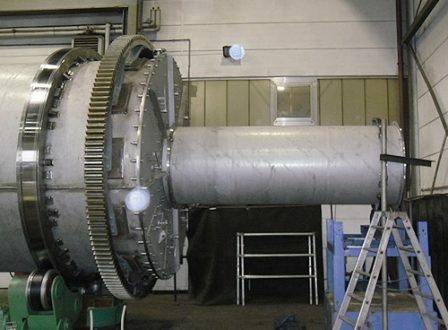 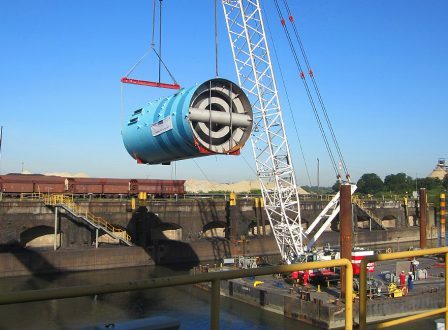 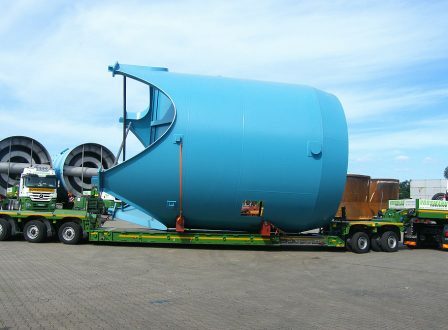 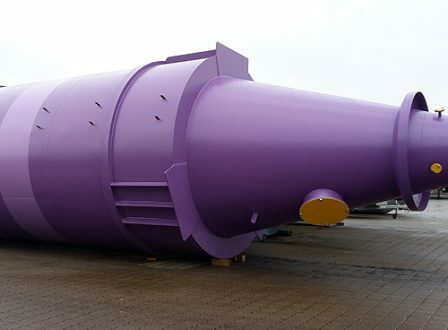 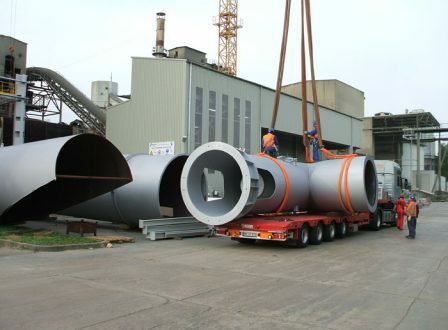 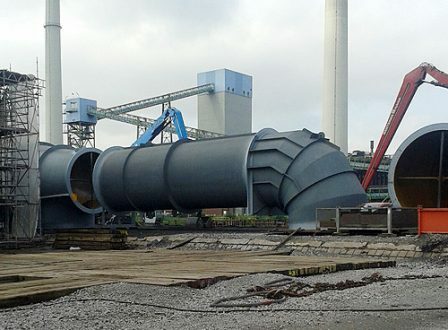 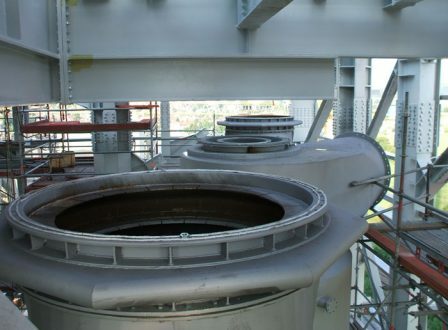 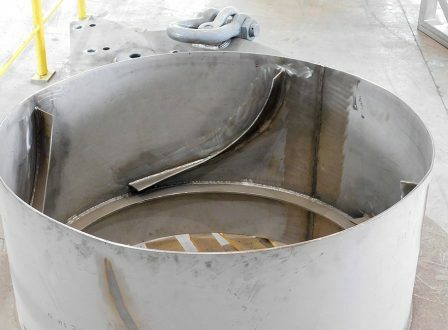 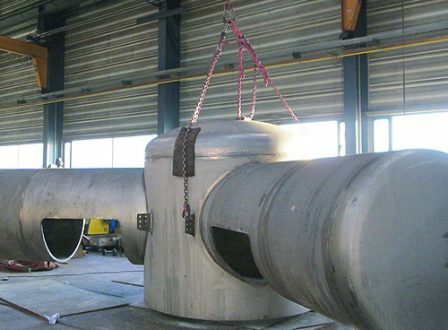 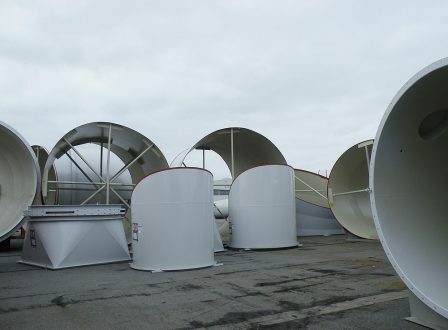 The drum dryer has an internal diameter of 3 m and a total length of over 24 m. The total weight is approximately 65 tons. 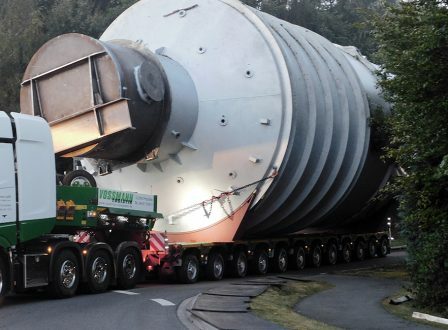 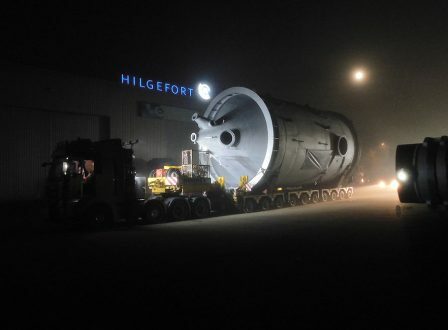 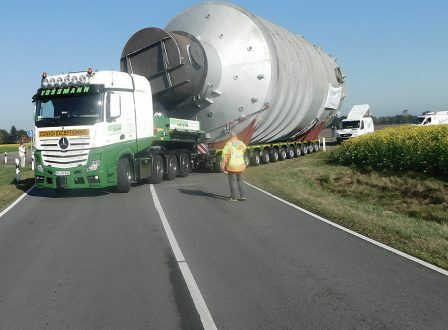 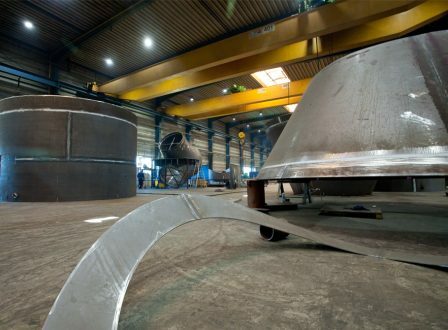 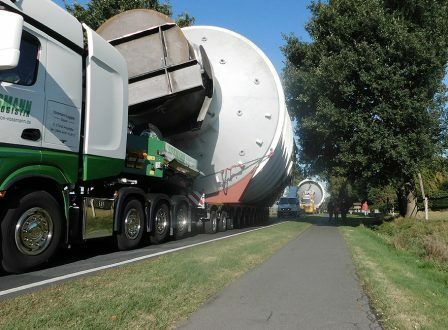 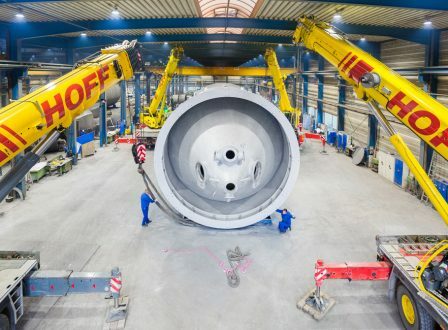 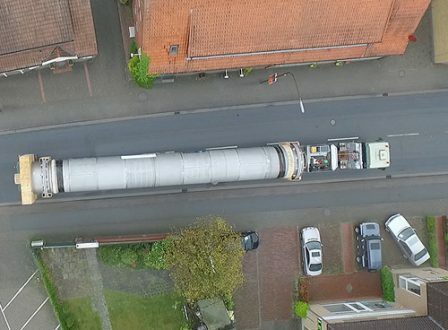 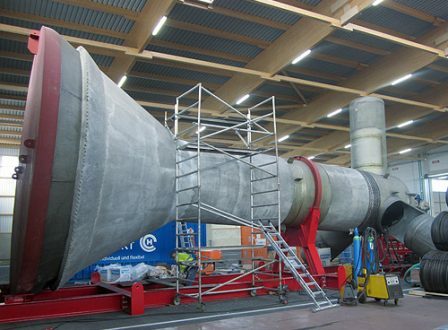 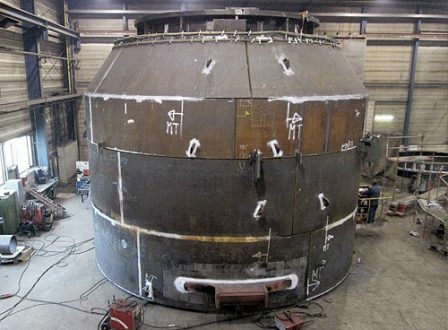 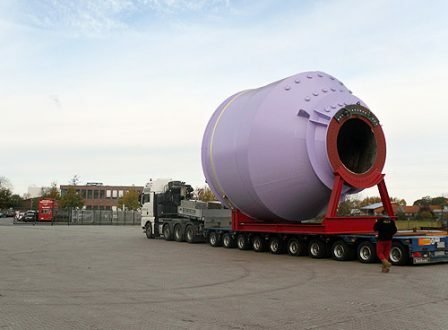 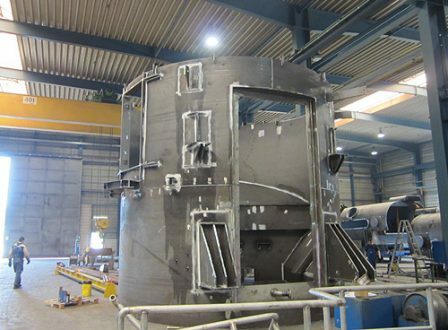 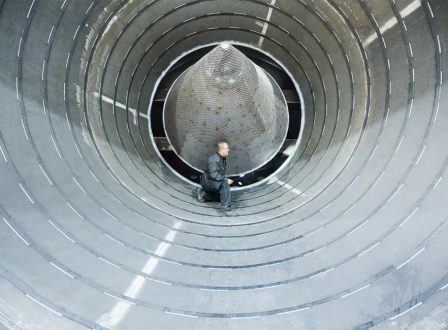 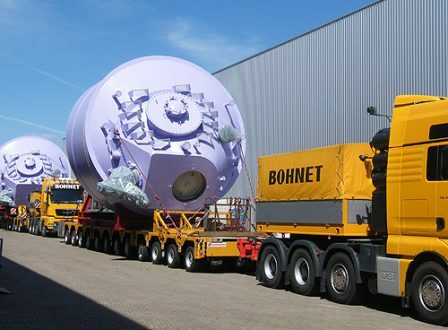 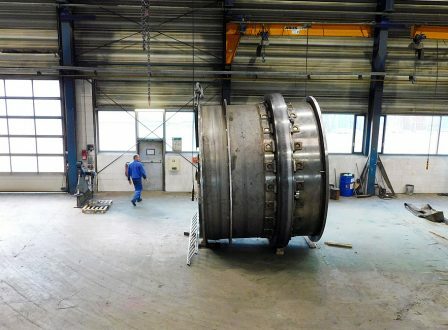 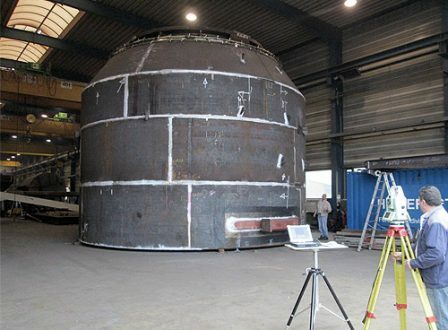 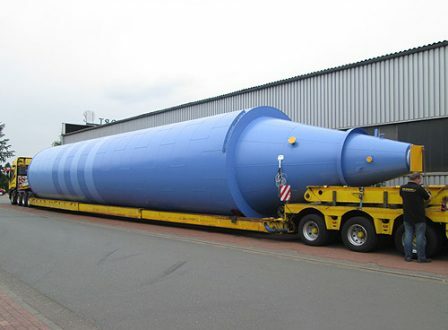 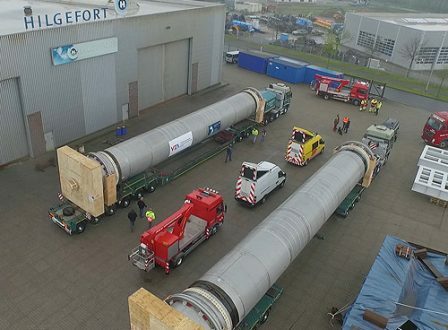 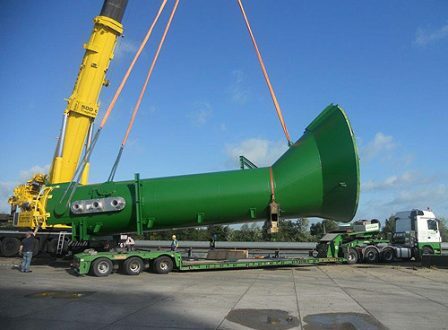 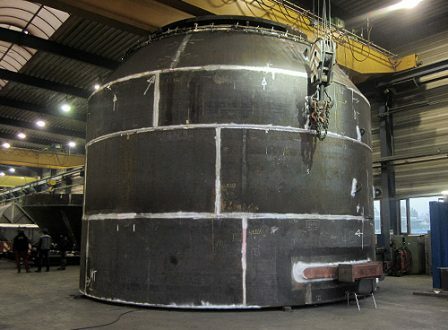 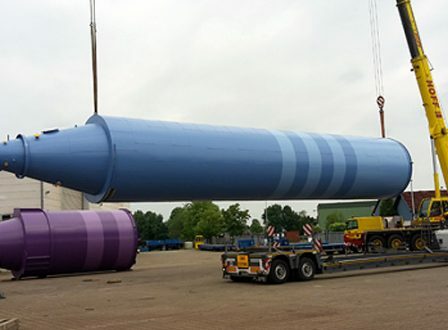 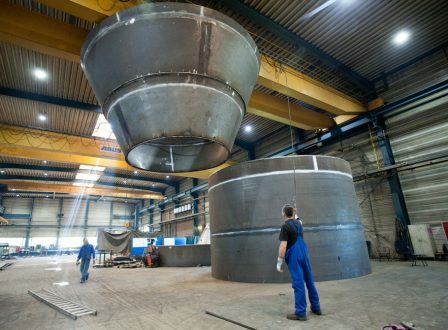 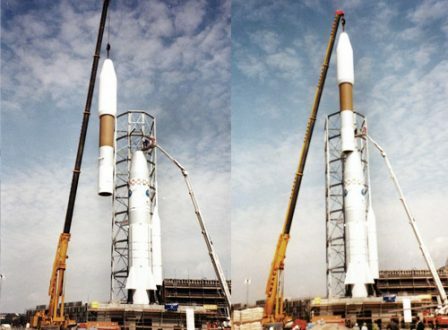 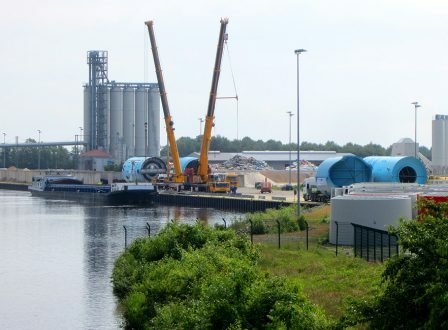 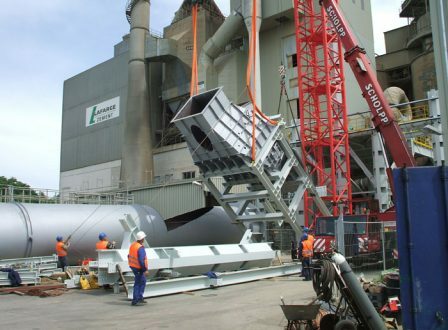 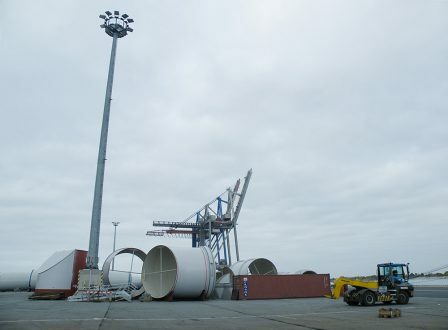 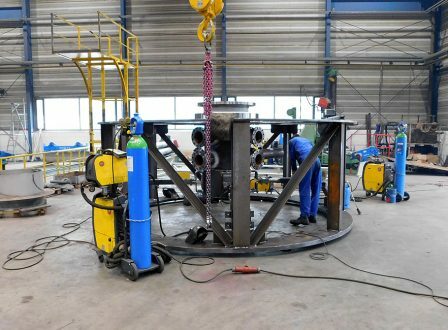 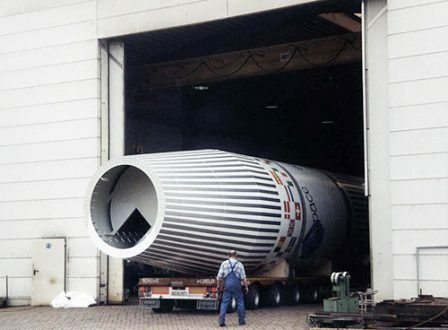 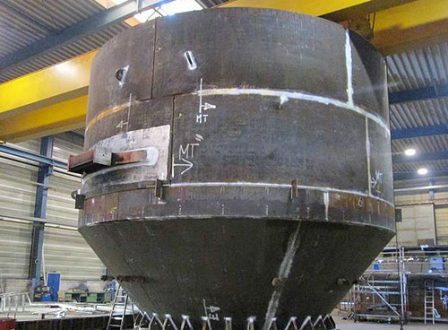 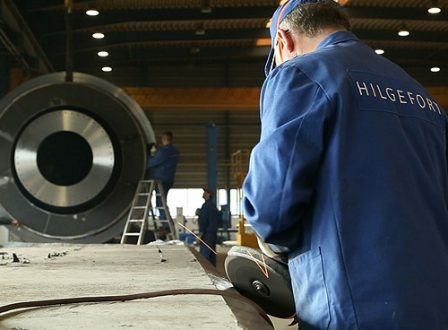 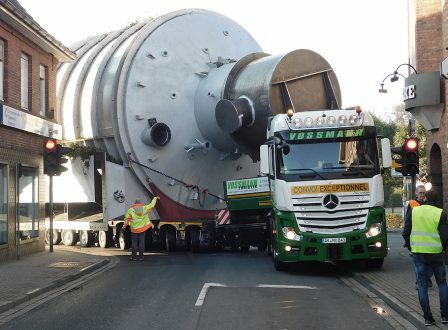 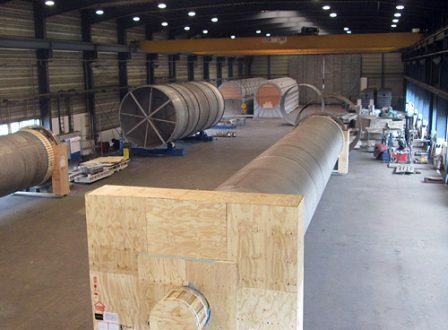 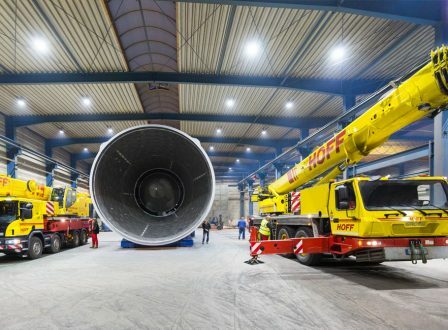 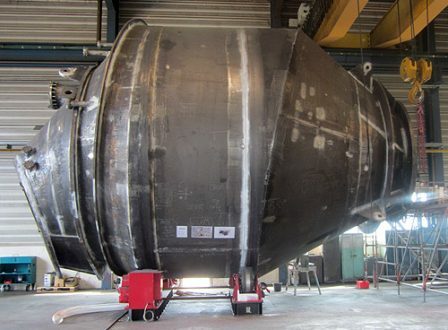 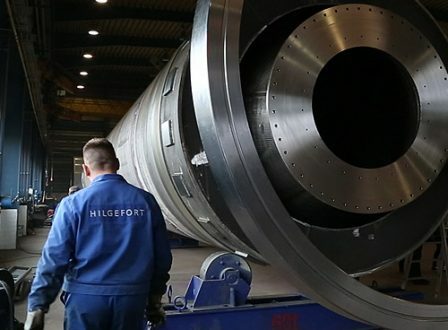 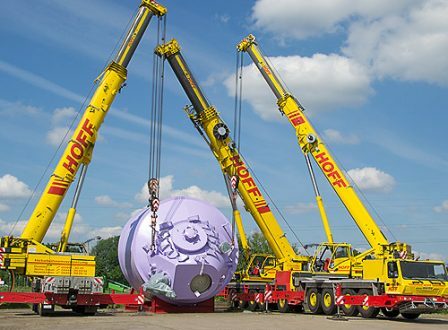 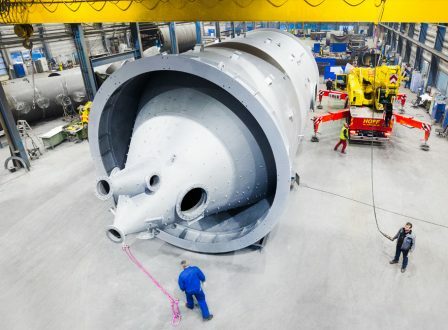 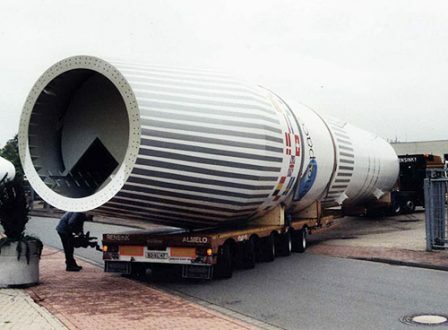 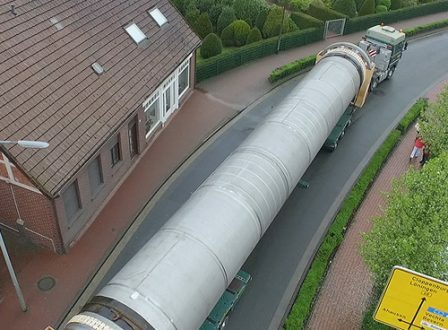 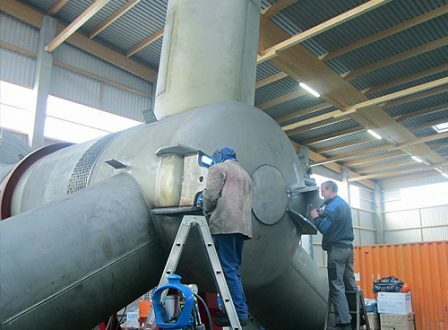 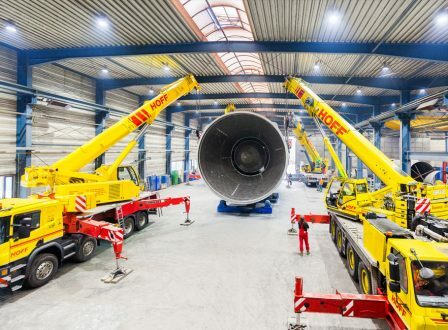 Just one of Hilgefort’s many talents: Manufacturing and assembling a life-sized replica of the Ariane 4 for a German space-themed amusement park. 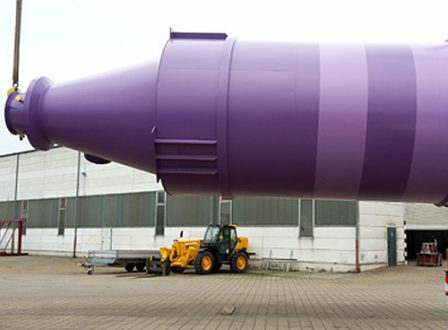 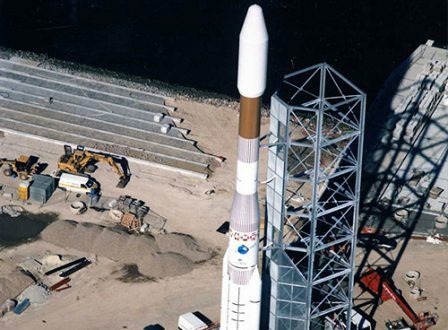 As a highlight and widely visible attraction at an amusement park, a model of the Ariane 4 rocket was designed and constructed in 1:1 scale.